I mentioned in an earlier post, that we've moved back one book, in our family reading of Blue Balliett's art based mystery series for children. 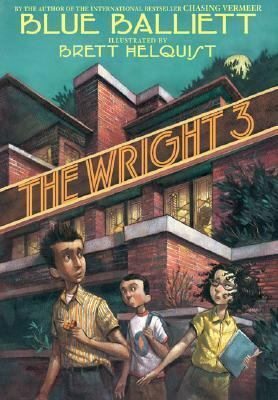 The Wright 3, centers around Frank Lloyd Wright, and more specifically the Robie House, in Chicago's Hyde Park neighborhood. We've spent quite a bit of time walking past it, and around the area, on Google Maps. I think I've mentioned before too, how much I love the "street view" feature on Google Maps. It's just great for virtual field trips. 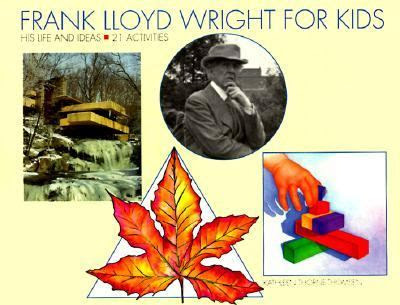 ...but I will warn you, if you're studying Frank Lloyd Wright with children, proceed with caution. He was not at all a moral individual, and his life was touched by some very violent tragedy. 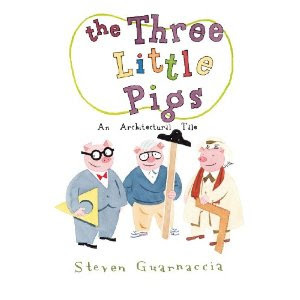 Also, you might want to have some building toys ready for your children to experiment with, after reading about his architectural career. The Froebel Gifts (or building toys), that he held dear as child, would be fun to have around, but they are quite expensive, as far as wood blocks, and colored paper go. I found an alternative, in the recycle bin. Using a hole punch, I made holes all the way around both ends, of a number of empty toilet paper tubes. Then, I enlarged the holes, by pushing a sharpened pencil through them, until they were big enough to easily fit unsharpened pencils through. Straws, or wood dowels, or even rolled up tubes made from scrap paper would work equally well, we just happen to have a large number of unsharpened pencils handy. ...just to mix things up a little. Brilliant! I don't even know how you come up with these things. I would never think of using toilet paper tubes in this way. By the way, I'm with Christianne in her comment on an earlier post - you should write a book! This is fabulous! So creative and inventive! Thanks, once again, for sharing! Ok you are fabulous, you really come up with the best ideas! LOVE this frugal and fun option! I bet my son will be on this the second he sees the pictures! How ingenious! You find uncommon uses for most common things. Ooohhh, and these are tinker toys that wouldn't drive me nuts. Wonderful. My class of builders will certainly enjoy this. soknitpicky - I hadn't found that site yet - thanks!!!! Things tend to swirl, and move around here so quickly, I don't often get to research everything as completely as I'd like. If this gets published, this is a note from Leah's sister-in-law to the many followers of this blog: Leah is NOT--I repeat--NOT a hoarder. Sure, she has a lot of toilet paper rolls and a vast, almost disturbing collection of plastic bread bag fasteners. But be assured, her house is very tidy; in fact, it is one of the cleanest and most sanitary homes I have ever visited. I would eat food off her floor well beyond the 5-Second Rule. With Love from Leah's S-I-L Who Has a New Respect for Used Toilet Paper Rolls. I included a link to your great post...hope you check it out! oh! this is absolutely BRILLIANT! i am enormously fond of Froebel's theories and love applying them to our everyday pbjects. Thank you for sharing! LOVE this! I can't wait to do this with my daughter when she's a little older. This is an amazing blog! 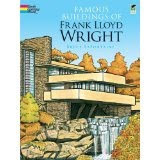 I, too, am enthralled with Frank Lloyd Wright and I agree that his life was quire, well, let's say, interesting! We visited his house here in AZ in December and learned quite a bit about him. As a pediatric OT, however, I am enthralled with your toilet paper tube construction set!!! It's awesome! Thanks for sharing. I will do the same. I love this idea! I will be doing this with my preschoolers soon. Loved this idea. The my hole punch didn't leave holes big enough for pencils to fit through so we used small paint brushes and long nails we had left over from a previous project. The school age kids loved this just as much as the preschoolers. Sugar Density Rainbow, Or Success At Last!